Will the winter of 2018-2019 bring another Snowy Owl Snowstorm similar to the irruption of 2017-2018? It is too soon in the season to know. They have been trickling in, but Snowy Owls typically begin to move southward in greater numbers in mid- to late-November. 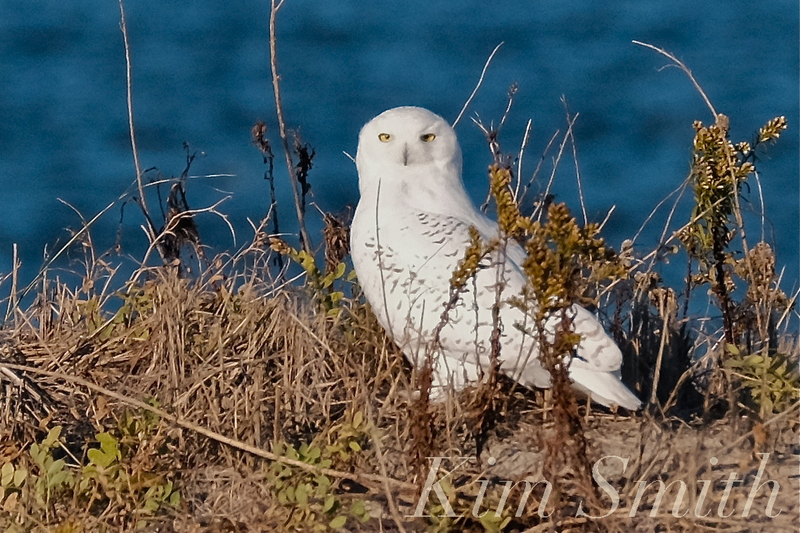 The Snowy spotted today is a male, with a beautiful nearly pure white face and neck. Although off in the distance, he appeared to be in good health, with plushy full set of feathers, big furry feet, and tell-tale pinkish hue smudged around his beak (hopefully from a recent catch). He was quietly nodding off until suddenly disturbed by someone approaching too closely. He swooped across the landscape and away from the onlooker to a more remote location, and was hopefully left undisturbed for the remainder of the day. On high alert and then flushing after sudden disturbance. It was so startling for the Snowy and my daughter and I to see the man’s head coming up behind him, and happened so quickly, we did not get a photo of him flying. Way to close and can see why flew away. The swallows this way with mud nests in alleyways that were limited in space would dive bomb you I have seen this with hawks and owls too if nesting close by with young!